U.K. grocer Morrisons, ad-buying behemoth GroupM and other marketers and agencies are testing never-before-available data from cellphone carriers that connects device location and other information with telcos‘ real-world files on subscribers. Some services offer real-time heat maps showing the neighborhoods where store visitors go home at night, lists the sites they visited on mobile browsers recently and more. Under the radar, Verizon, Sprint, Telefonica and other carriers have partnered with firms including SAP, IBM, HP and AirSage to manage, package and sell various levels of data to marketers and other clients. It’s all part of a push by the world’s largest phone operators to counteract diminishing subscriber growth through new business ventures that tap into the data that showers from consumers‘ mobile web surfing, text messaging and phone calls. SAP’s Consumer Insight 365 ingests regularly updated data representing as many as 300 cellphone events per day for each of the 20 million to 25 million mobile subscribers. SAP won’t disclose the carriers providing this data. It „tells you where your consumers are coming from, because obviously the mobile operator knows their home location,“ said Lori Mitchell-Keller, head of SAP’s global retail industry business unit. There is a lot of marketer interest in that information because it is tied to actual individuals. For the same reason, however, there is potential for resistance from privacy advocates. WPP units such as Kantar Media and GroupM’s Mindshare have „kicked the tires“ for three years on Consumer Insight 365, testing and helping develop applications for the service, said Nick Nyhan, CEO of WPP’s Data Alliance. The extensive time spent so far partly reflects „high sensitivity to not doing something that would be too close for comfort from a consumer point of view,“ Mr. Nyhan said. The service also combines data from telcos with other information, telling businesses whether shoppers are checking out competitor prices on their phones or just emailing friends. It can tell them the age ranges and genders of people who visited a store location between 10 a.m. and noon, and link location and demographic data with shoppers‘ web browsing history. Retailers might use the information to arrange store displays to appeal to certain customer segments at different times of the day, or to help determine where to open new locations. „It used to be that this data was a lot harder to come by,“ said Ross Shanken, CEO of LeadID, a lead generation analytics firm. In a previous position at data firm TargusInfo 2008 and 2010 he nonetheless partnered with „a very large telco“ to validate names, addresses and phone numbers for data appending. Too risky for the E.U.? To protect privacy, SAP receives non-personally-identifiable, anonymized information from telcos, and only provides aggregated information to its clients to prevent reidentification of individuals. Still, sharing and using data this way is controversial. Nearly all the players exploring the burgeoning Telecom Data as a Service field, or TDaaS for short, are reluctant to provide the details of their operations, much less freely name their clients. And despite privacy safeguards, SAP is focused on selling its 365 product in North America and the Asia-Pacific region because it cannot get the data it needs from telcos representing consumers in the E.U., where data protections are stricter than in the U.S. and elsewhere. But the rewards may outweigh the possible tangles with government regulators, consumer advocates and even squeamish board members. The global market for telco data as a service is potentially worth $24.1 billion this year, on its way to $79 billion in 2020, according to estimates by 451 Research based on a survey of likely customers. „Challenges and constraints“ mean operators are scraping just 10% of the possible market right now, though that will rise to 30% by 2020, 451 Research said. Perhaps the most prominent recent moves in the burgeoning TDaaS realm are Verizon’s $4.4 billion acquisition of AOL in May, followed by its purchase of mobile ad network Millennial Media for $238 million in September. Many saw the AOL buy as a means for Verizon to turn its data into a viable business, in part because AOL provides ad-tech infrastructure and marketer relationships that Verizon lacks. The level of authenticated information derived from Verizon and other mobile operators is seen as potentially more valuable than some other consumer data because it directly connects mobile phone interactions to individuals through actual billing information. „We’re talking about linking a household and a billing relationship with a human being,“ said Seth Demsey, CTO of AOL Platforms. Verizon’s Precision Market Insights division previously stumbled in its attempts to aggregate and package mobile data to help marketers target consumers and measure campaigns. Sprint’s similar Pinsight Media division and AT&T’s AdWorks—which segments and targets TV audiences—have not fared much better, according to observers. But lackluster results from going it alone have driven telcos toward companies that can facilitate cashing in on data. Along with SAP on the marketer-facing side, others including HP and IBM have stepped in to help phone carriers on the back-end data management and analysis side. When Spanish operator Telefonica embarked on its Dynamic Insights offering, it partnered with consumer insights firm GfK to help package the telco’s mobile data for clients including U.K. food purveyor Morrisons. The grocery chain used the service to garner anonymized data connecting consumer demographic data to location visits. Some of these data relationships have long histories. SAP America owns Sybase, a subsidiary it bought in 2010 that serves as a technology hub for multiple mobile carriers and counts Verizon as a partner. 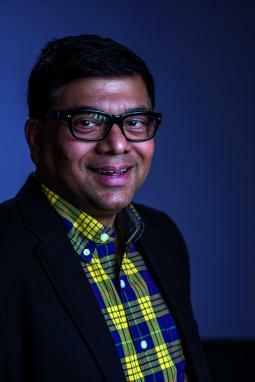 The Sybase business has provided „deep relationships with mobile operators around the globe,“ said Rohit Tripathi, global VP and general manager of SAP Mobile Services, in an email. AirSage, another firm that has tight integrations with mobile operators, supplies data to municipal planners, retail store developers and city tourism boards. The company integrated its technology with telecom companies in the 1990s to enable 911 call support services. More recently it has signed data deals with Verizon Wireless and Sprint. „Our solution is actually plugged into the network behind the firewall of the carrier,“ said Ryan Kinskey, director of business development and sales at AirSage. Device IDs tracked by AirSage are anonymized, he added. Verizon and Sprint declined to comment for this story. AT&T and T-Mobile said they don’t share consumer or location data with SAP, Sybase, AirSage or Vistar. Insiders say phone carriers exploring data-sharing businesses are tight-lipped because they don’t want to reveal too many details to competitors, but fear of consumer complaints is always lurking in the background. „The practices that carriers have gotten into, the sheer volume of data and the promiscuity with which they’re revealing their customers‘ data creates enormous risk for their businesses,“ said Peter Eckersley, chief computer scientist at the Electronic Frontier Foundation, a privacy watchdog. 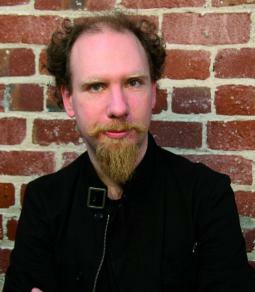 Mr. Eckersley and others suggest that anonymization techniques are faulty in many cases because even information associated with a hashed or encrypted identification code can be linked back to a home address and potentially reidentified by hackers. Ultimately, for mobile operators, these relationships could reap substantial income from the data generated by subscribers who already account for their primary revenue streams. The telcos do not break out revenue derived from their data-related sales in their quarterly earnings reports, so just how much money they’re making from these deals is not known. SAP will „effectively share the revenue back with the operator, so they get to make money from data that they’re basically not utilizing or under-utilizing today,“ former SAP Mobile President John Sims said at an industry conference in Las Vegas in 2013 as the company introduced Consumer Insight 365. Dieser Eintrag wurde veröffentlicht in Web, Werbung, Wirtschaft und getaggt mit Mobile Privacy, Privacy, Retail, Retailers am 28. Oktober 2015 von innovation. But Jet thinks it can elbow its way into retail by changing how it works. “We’re trying to do something different in that, pretty much anything you want to buy from TVs to toilet paper, you could get 10-15 percent off what you normally spend, without doing anything other than coming to our site and becoming a member,” Liza Landsman, Jet’s executive vice president and chief customer officer, says. Now that it’s live, we’ll finally get a chance to see if Jet is the next big thing—or the next big bust. Unlike other online retailers, Jet’s revenue comes only from membership fees, not sales. This gives the company every incentive to charge the lowest price possible for items to get you to sign up. Earlier this year, Jet founder and CEO Marc Lore told my WIRED colleague Issie Lapowsky that Jet’s tech resembles a real-time financial trading service. 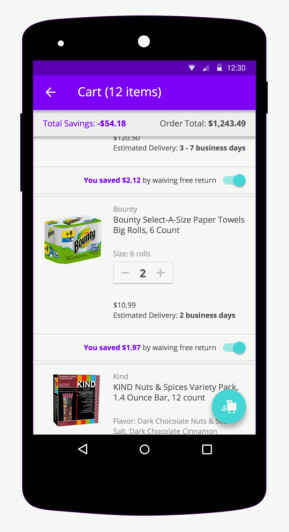 With the help of this service, Jet not only allows you to find the cheapest available price for a product but also recalculates your shopping cart as you add more products, applying rules based on what the retailers themselves are offering and showing you in real-time how to get more savings by, say, buying two products together. More stuff may mean more discounts. 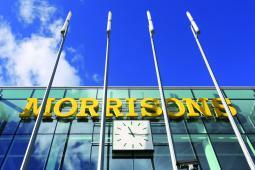 For retailers, this set-up might seem like a nightmarish recipe for losing money. But Jet says that it doesn’t undercut retailers since it isn’t itself taking a cut, unlike some other online retailers. 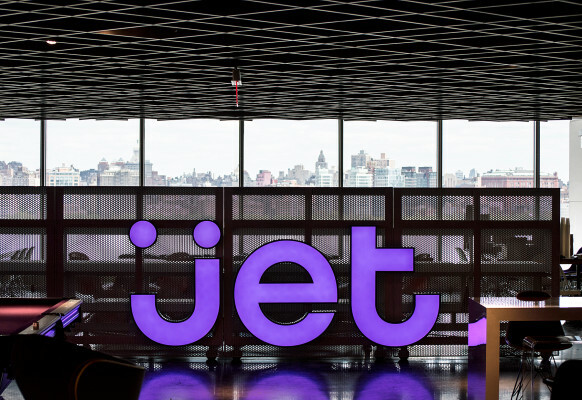 In fact, for products that aren’t already in its inventory or from one of its partners, the Wall Street Journal reports that Jet is actually buying products at their regular prices from those outside retailers (and paying for shipping charges) while still offering the discounted price to its customers. At times, Jet is taking the loss, it seems, in the hope that it can keep you coming back. But if Jet is forced to pay the difference to deliver goods to you on the cheap, the company may have a difficult time becoming profitable (this challenge has stymied Amazon for the past two decades). In fact, for Jet to succeed—and to fend off retailers such as Amazon, Walmart, and Costco—it will likely need to prepare for several years of losses, if not more. Jet’s model can only succeed at a huge, huge scale—and to get there, it’ll need lots and lots of people like you. By appealing to the more frugal side of all of us, Jet and its backers expect this audacious startup can not only save us money, but truly challenge Amazon in the process. “Jet is legitimate. 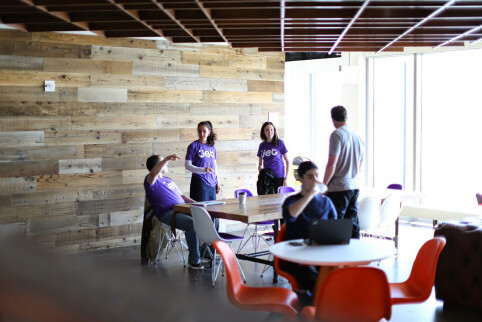 It’s small, it’s a startup, but it’s got a good model,” Wurmser adds. 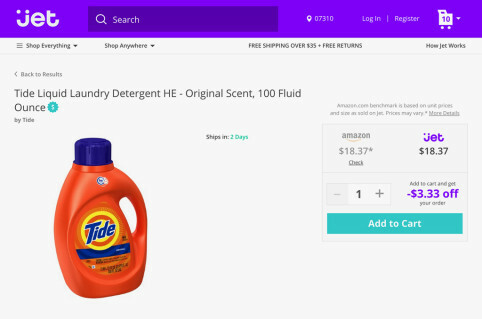 “I think Jet does represent a competitor because they can undercut prices.” And, after all, who doesn’t want cheaper stuff? It just has to solve one of the most tantalizing paradoxes of retail: making more money by letting you pay less. Dieser Eintrag wurde veröffentlicht in Einfachheit und getaggt mit amazon, Jet, Retail, silicon valley am 22. Juli 2015 von innovation.